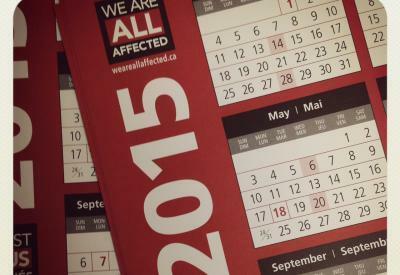 PSAC members: you can pick up your PSAC 2015 calendars on the 16th floor at 1100 Melville Street. They are at Theresa's cubicle, 1606C (enter door 1600, turn left, and it's the fourth cubicle on your right), on top of the coat closet. Bring some extra for your colleagues. If you are on Alberni, please see Emma Fleetham.